Configurable columns, filters and presets are used together to display relevant data and allow fast workflow processing. 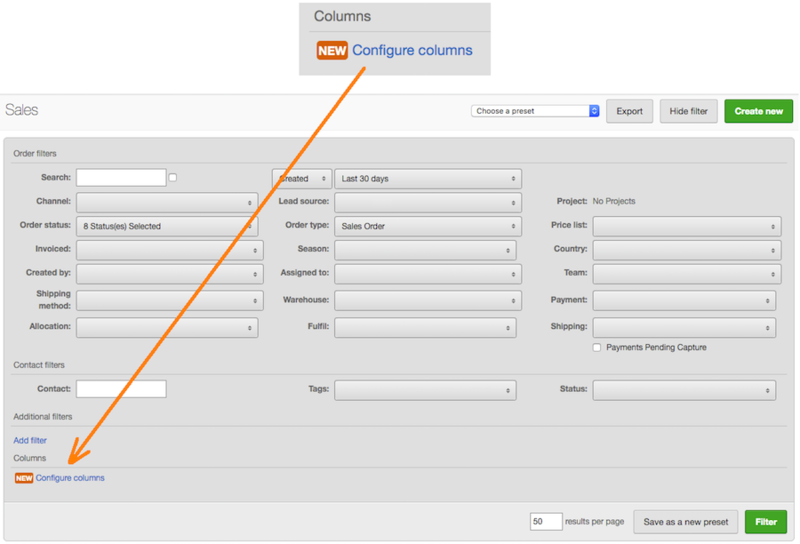 Column configuration includes adding, removing and sequencing columns to a screen. These customizations can be used as a one off, or saved as a preset so that the view can easily be produced at any time. Navigate to the screen to be customized. Drag-and-drop to add, remove and sort the columns as desired, creating your preferred layout on the left-hand side. Click Update columns to return to the filters. The columns will be applied along with any other filters chosen. Click Filter to apply the columns and filters to view the results, or to save this configuration as a preset view click Save as a new preset , enter a name and then click Filter and save new preset. If you decide later that you want to save a filtered view as a preset, you can re-open the filters and do so. Preset views are useful for creating personalised processing lists and data downloads which automatically apply all the required filters, columns and data sorting allowing for tasks to be carried out with ease. When saving a preset view with a date filter using one of the relative date options such as “Today” or “Last 30 days” will ensure your date is always current. Navigate to the screen to add the preset for. Apply the desired filters and column configuration. Click Save as a new preset. Enter a preset name and click Filter and save as new preset. This can be done before or after applying the changes. When viewing a screen, select the preset from the dropdown at the top of the screen. The filters, columns and results will be loaded automatically. Select the report preset at the top of the screen to load the results. 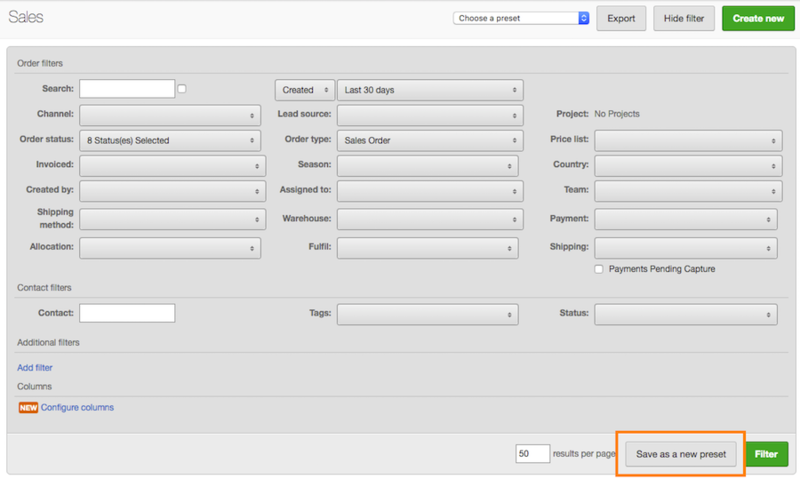 Open the filters and make the desired changes to filters and columns. Within the filters click Update preset “_name_” to save and apply the changes. To apply the filters as a one off and without saving the changes to the preset, click Filter. Within the filters click Delete preset. The screen will reload with the system default filters and columns and any matching results. Make any changes to the filters and columns for the new preset. Within the filters click Save as a new preset. Enter a preset name and click Filter and save as new preset.